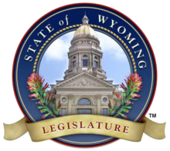 Due to the territory's change of voting laws in 1869, the U.S. Congress was hostile to Wyoming and its legislature. During proceedings to make Wyoming a U.S. state in 1889 and 1890 in writing a new constitution that would continue female suffrage, Congress threatened to withhold statehood unless women's suffrage were abolished. The Wyoming Legislature and territorial government sent a threatening telegram back to Washington, insisting that Wyoming would remain a territory for 100 years rather than become a state without women's suffrage. 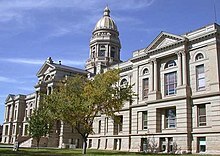 The federal Congress withdrew its threat, and on July 10, 1890, President Benjamin Harrison signed into law Wyoming becoming the 44th U.S. state.